With Queensland being such a large Australian state, it’s only logical that cruises from Cairns are increasing in number to service those avid cruisers residing in Queensland’s north. Cruises from Cairns have a great repertoire of cruises that visit the islands of Papua New Guinea, a great itinerary for those who still want to cruise close to home, but perhaps have already frequented the South Pacific islands and are wanting to try something different. Alternatively, jump on board a quick break cruise and explore a hint of Australia’s eastern coastline. Scroll down for our most popular recommended cruises and to view the full list of cruises from Sydney. Only cruises with remaining available cabins are listed. You may also wish to view cruises from Sydney, cruises from Brisbane, cruises from Melbourne, cruises from Perth, or cruises from Adelaide for other options. 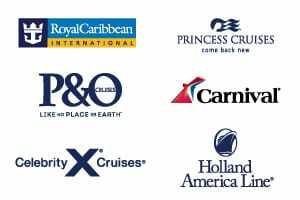 Our cruise specialists are on hand to help with all your enquiries. Contact us or request a call back to chat with one of our friendly consultants.